Learning how to perform a background check on an employee might seem commonplace in the field of HR, but countless major corporations have found themselves in the cross hairs of hiring compliance. Let’s face it, running the Human Resources department is hard work, even on a good day. If you’re not a fast learner or willing to adapt to change, then it can seem downright impossible. Each year seems to bring with it new regulations and responsibilities that make running a business more challenging but also more rewarding. This is especially true when it comes to properly vetting a potential employee’s educational achievements, work history, and criminal background. The Fair Credit Reporting Act, originally enacted in October 1970, has seen its language change and its scope broaden from it’s origins as a consumer safety net to a law that governs certain aspects of employment law. This change has brought about some confusion among some HR professionals, and that confusion has lead to serious fines and sanctions placed at the feet of those who have not done their homework on what it takes to be FCRA compliant. The process becomes further complicated when a company hires a third-party vendor specializing in background checks. With so many questions and intricacies involved in this process, let’s explore the steps required to keep your company safe while outsourcing your vetting process and remaining FCRA compliant. They’re easy to remember: they spell FCRA! If your company requires a background screening as a condition of employment, you are required to inform the applicant in writing of this company policy. It must be issued as a stand-alone document that is not included with an employment application and must include a summary of the applicant’s rights. If your company’s background check will involve an “investigative report” that interviews character witnesses or delves into the applicant’s personal and professional reputation, you must disclose the scope of the investigation to the potential hire. As always, when it comes to matters of disclosure, the more transparent you are with an applicant the less confusion there will be when it’s time to bring him or her on board. If you run a background check without the written consent of the applicant, your company could be in hot water with the EEOC and other regulatory bodies, as one of the applicant’s rights is the opportunity to give written consent. 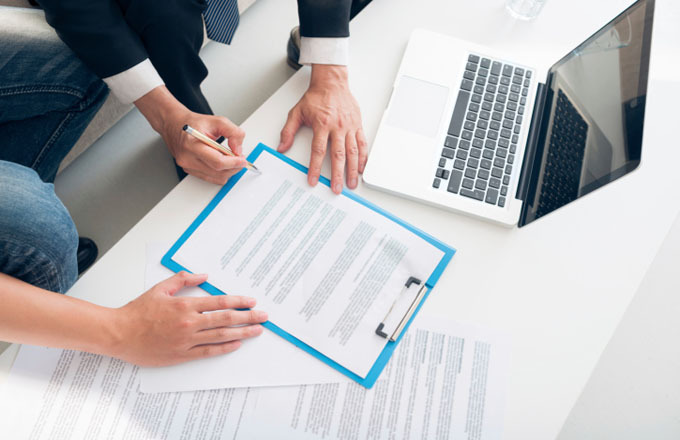 Just like with all written contracts, these documents are legally binding, so the applicant cannot later assert that they have not been informed of their rights. Before a background check legally begins, you must inform the company performing the screening that your company has followed, and will continue to follow, all procedures pertaining to disclosure and authorization, that the request does not violate any state or federal law, that the information received will be used for employment purposes only, and that you will not discriminate against any applicant based on any protected class. If your company has declined to hire an applicant based on information received on a background check, then you are required to submit a copy of the report used to make the decision, as well as the contact details of the company who produced the report, and inform the applicant of their rights relating to FCRA, including their right to contest any adverse findings in the report. Once you’ve learned how to perform a background check on an employee you’ll want to teach others on your team proper protocol. 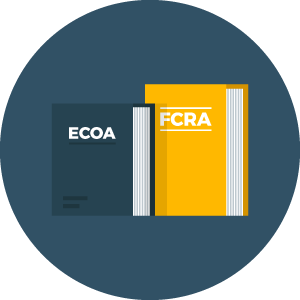 When in doubt, just remember FCRA, and you’ll be fine. Though there is always some minutia to get through with any set of regulations, as long as there is a detail-oriented HR professional in charge of the process who takes compliance seriously, your company will stay on the right side of the law and outside of the courtroom.